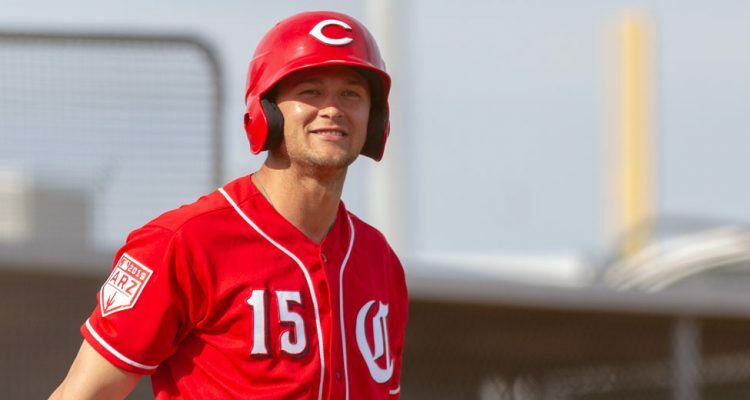 Nick Senzel played in an extended spring training game on Monday. As reported on twitter by all of the guys out in Los Angeles (C. Trent Rosecrans of The Athletic, Bobby Nightengale of The Cincinnati Enquirer), Senzel played three innings in center field out in Goodyear. He also got two at-bats in the game. He’s expected to play five innings on Wednesday. Mick Senzel played 3 innings in a game in CF today in Arizona and had 2 ABs. No issues. Will progress to 5 innings on Wednesday. 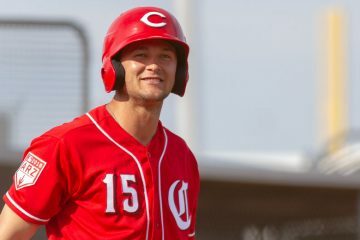 Assuming there are no set backs, it seems like we could see Nick Senzel join the Louisville Bats soon. In 2018 Shard Munroe began his season with the Billings Mustangs and he hit the ball well in 28 games. With the Mustangs he hit .313/.387/.455 and got promoted to the Dayton Dragons for the final month. The outfielder struggled a bit, hitting just .192 in 32 games to end the season. The native of the Bahamas is back in Dayton to start this season and he’s making last season a distant memory. Munroe has played in nine games for the Dragons and he’s currently hitting .370/.438/.556. He’s doubled once and he’s had two triples to go along with a steal and four walks. Lucas Sims isn’t going to be found on any prospect lists these days. But it’s not because he doesn’t have real stuff. And it’s not because he’s not regarded well. Sims isn’t on any prospect lists simply because he has too many Major League innings to qualify as a prospect these days. On Monday night in Louisville, Lucas Sims was showing why he’s still well regarded despite being in Triple-A. He racked up 10 strikeouts against Columbus and walked just one batter. That gives him 21 strikeouts on the season in 14.1 innings. He’s also walked 6 batters. In the first inning he struck out two batters swinging. Both were on his breaking ball. He picked up his third strikeout in the next inning on a fastball at the knees on the outside corner that was watched. The next strikeout was also on a fastball at the knees that left Cameron Maybin walking back to the dugout wondering why he didn’t swing. In the fourth inning he got another strikeout swinging, this one on a fastball. He got into trouble in the fifth inning after allowing a leadoff double, he gave up a single and then hit the third batter of the inning to load the bases. He got a ground out that brought in a run, then walked the next batter to load the bases once again. Sims buckled down there and struck out Jordan Luplow swinging at a fastball at the top of the zone. The next batter, Yu Chang, swung through a fastball at the knees to end the inning. In the sixth inning he picked up his ninth strikeout of the night when the leadoff batter took a fastball on the outside corner. His final strikeout of the night came to the next batter who swung over the top of a breaking ball. In total Lucas Sims had 19 swings-and-misses in the game – the same amount he had in his previous start. In 2018 he didn’t have a single game with that many swings-and-misses. You have to go back to July 6th of 2017 for the last time he had that many. When Senzel comes up I am going to be disappointed if the Reds take the easy way out and send down Farmer to make room for him on the 25 man roster. Farmer can play virtually anywhere except CF. Even more importantly having a 3rd catcher frees up Curt Casali, their best RH bench bat to be used more productively. 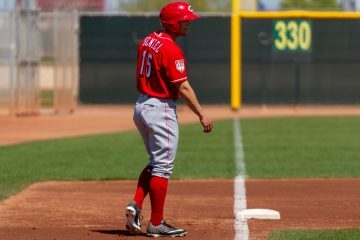 Reds need to bite the bullet and shorten their pen or option Schebler to AAA to make room for Senzel. But then as the Ol’ Lefthander Nuxy used to say, these things seem to have a way of working out. So, maybe something else will happen to clear a spot for NS. They should just axe Duke. Another bench bat would provide the team more value than a struggling LOOGY, especially when the bullpen has two other LHP. Duke has been atrocious I agree get that character out of here. I agree. I started to say just eat Kemp’s contract but perhaps he can build up enough value by trade deadline to actually get something out of him without eating the entire 21 million. Talk about a short leash for Schebler? What has he done to warrant being demoted. I would agree that Zach Duke needs to go…. Schebler is a good 4th outfielder. No reason to demote him. I agree with Duke getting the axe. Reds should not rush Senzel. He is much too fragile. Counterpoint: This is a terrible point you are making. If he’s ready, play him. IF you are worried he’ll get hurt, then get him on the field and get the value while you can. Doug, completely unrelated to this previous message but I thought I’d respond to you and I’d like to say one thing, and know one thing. 1. First off, I was pro schebler making the team and senzel being sent down at the end of spring training for a multitude of reasons. I feel as though now i can confidently say, I was wrong. So sorry for doubting his ability or overrating schebler’s etc. 2. Never been a big fan of Winker hitting leadoff his numbers are way better with men on base and he looks more patient with men on base as well. So this brings me to my question. Could Nick handle be our leadoff hitter for the majority of the year? I’ll say this for Winker, or Senzel, or anyone else: If you are a good hitter, you’re going to be a good hitter anywhere in the lineup. The “Winker isn’t good, or is good” here is merely a sample size issue. Give it long enough he’s going to be who he is there. How hard was Sims throwing?? Don’t know how hard he was throwing yesterday. While I did go back and watch some parts of the game, there’s not a gun that shows up on the screen showing velo, and it wasn’t mentioned very often by the broadcasters. 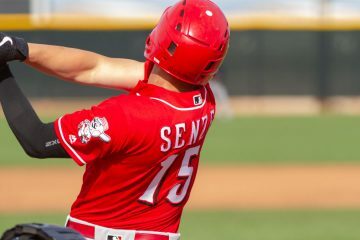 Senzel is one of Reds 8 best position players. He should play somewhere when healthy. Can play OF or INF. Not C. Not P. Anywhere else. Until Senzel performs at the major league level, he is potentially one of the Reds best eight. He didn’t win a job in ST, so he wasn’t one of the best eight this spring, notwithstanding his wannabe agent Doug’s protestations to the contrary. Curious why it was not mentioned how he did in those two ABs in the extended ST game. How can we know whether or not Senzel would have made the team since he sprained his ankle at the end of it? I don’t care what Senzel did in two at bats in Arizona. I want to know—did his ankle hold up or not? And that is the information that was provided by the quoted Twitter posts. We would know that because he was sent to the minors and didn’t make the team. He was injured a few days after he was sent back to minor league camp. Thanks, Doug. I had forgotten that “small” detail. Now I remember that at the time, my impression was that it was a business move to keep him in the minors long enough to get the additional year of control. I’m just happy he’s back on the field again. I see no reason to 2nd guess any of the Senzel moves made to date. I think it’s important that none of the Reds outfielders that made the active roster have any reason to complain that they were slighted or short-changed by the way Senzel was handled.On the other hand, there’s lots of room for improvement in the play by the current reds outfielders, both offensively & defensively. All Nick has to do is demonstrate that he can play better, & earn the job.